Human beings; Effect of climate on. Amazon.com description: Product Description: Climate change will have a bigger impact on humanity than the Internet has had. The last decade's spate of superstorms, wildfires, heat waves, and droughts has accelerated the public discourse on this topic and lent credence to climatologist Lonnie Thomson's 2010 statement that climate change "represents a clear and present danger to civilization." In June 2015, the Pope declared that action on climate change is a moral issue. 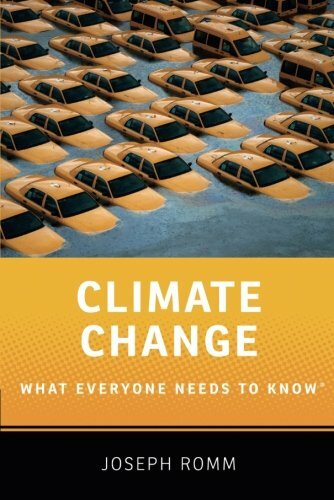 Â· How will climate change impact you and your family in the coming decades? Â· What are the future implications for owners of coastal property? Â· Should you plan on retiring in South Florida or the U.S. Southwest or Southern Europe? Â· What occupations and fields of study will be most in demand in a globally warmed world? Â· What impact will climate change have on investments and the global economy? As the world struggles to stem climate change and its effects, everyone will become a part of this story of the century. Here is what you need to know. About: Climate change will have a bigger impact on humanity than the Internet has had.